Empathy, morality, community, culture — Apes have it all. Good job to the Malaysian marine police for foiling the smuggle of protected animals! 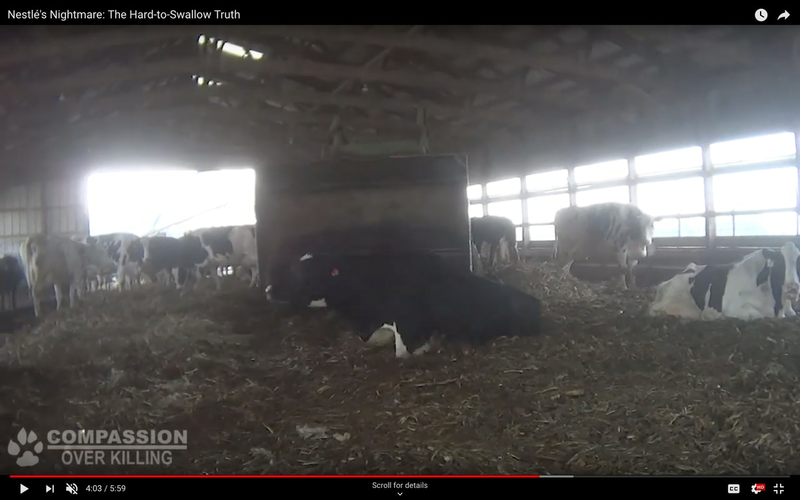 Commercial fishing is cruelty to animals on a colossal scale, killing nearly a trilli..
Take a look inside the cruel cycle of violence that puts dairy products on store shelves--through the eyes of a sweet calf born in the dairy industry. Will you take the #VegPledge to ditch dairy (and other animal products) for one week this year? Sign up here to unlock discount codes, support, and..
With companies like Treeline, there's no reason to ever consume dairy milk again. Tha..
With companies like Treeline, there's no reason to ever consume dairy milk again. Thank you to Treeline Cheese for sponsoring VegWeek.com! Artisan-made #vegan cheeses in the Hudson Vally Region of Upstate NY. Have you taken the 7-Day VegWeek.com #VegPledge? Where do you draw the line when deciding what is vegan and what is not? My brand new essay will enable you to discuss the topic with greater clarity and authority than ever. Continued coverage of our latest investigation: 'And according to Mike Wolf, Compassion Over Killing’s director of investigations, that undercover work is “the only way for the public to get an unvarnished look at the reality of animal agriculture. The industry knows that when the public sees what i..
Today is World Health Day! Eating plant-based is the best way to live healthy, help o..
Today is World Health Day! Eating plant-based is the best way to live healthy, help our planet, and end the suffering of farmed animals. 🌱❤️ Ready to make the switch? Visit loveveg.com! Be like Daisy Fuentes and take the 7-Day #VegPledge! Takes just seconds to sign up an..